We already know that the toddler genius and talking dog from Seth McFarlane's hit TV show will be the star of the upcoming Family Guy: Back to the Multiverse game. (Mike Fahey says it'll probably be good for a laugh.) 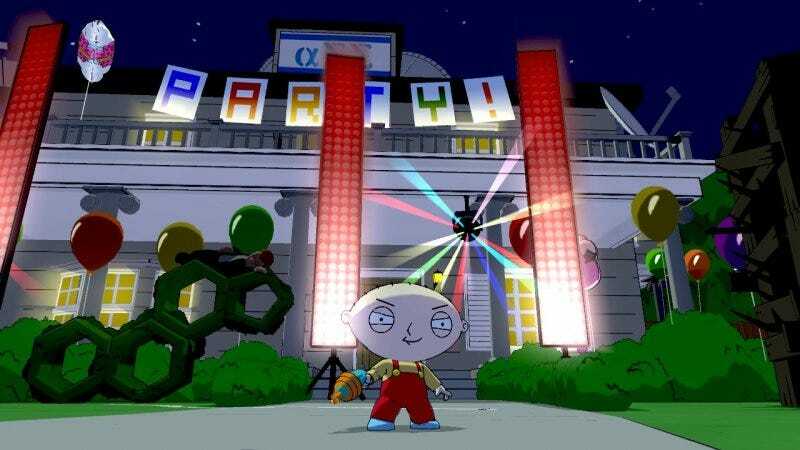 The screens above show off more of what the in-game action will look like, with Stewie—but no Brian—raging against some bros. The show's signature cartoony look gets recreated almost perfectly, to the point where you can almost hear Stewie's comically deep voice while you look at these screens. Family Guy: Back to the Multiverse should be hitting later this year.